Can you give me an idea of the cost? 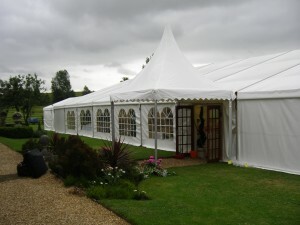 There are many things to take into consideration when calculating the cost of a marquee hire. Size is the main element but then how it is dressed can make a big difference, whether it is lined or unlined. Then the marquee can be carpeted, boarded, and there are a whole host of other items you may want to add. We’ll explain all this to you and our no-obligation quotations will show you clearly the price of optional “extras”. I am booking so far in advance what happens if my numbers change? Who provides the power for the marquee?